Friday, 16th February 2018 marks the beginning of the Chinese New Year. The 2018 Chinese New Year – the Year of the Dog begins nineteen days later than the Chinese New Year 2017, which started on January 28. Also known as Spring Festival in China, the Chinese/Lunar New Year (CNY) is the prime national holiday in Greater China. It is also celebrated in regions with a substantial Chinese population, particularly in South-East Asia and in the Chinatowns of cities worldwide, from Vancouver in Canada to London in UK to Lima in Peru. In China, the official holiday lasts seven days. In the weeks leading up to the Chinese New Year, shoppers purchase across several categories in preparation for the Lunar New Year, with a sales uplift in average daily sales across fashion (71%), food and groceries (101%), and health and beauty (56%). Many sales happen on mobile devices especially through the mobile apps. In Singapore and Vietnam, sales surge in the fashion sub vertical were 29% and 99% higher in-app than on mobile web, respectively. Data from 2017 shows a 35% overall rise in daily online retail sales across Southeast Asia around two or three weeks before Chinese New Year, meaning marketers should start their campaigns 3-4 weeks before CNY to win new customers and maximize sales. People are also looking for experiences. Travel sales pick up 2-3 weeks before Chinese New Year and even more so in the weeks after, especially for certain countries in the region. Three weeks before Chinese New Year shows an average increase of 33% in travel sales in Hong Kong, Taiwan, and Singapore. But a larger surge occurs after Chinese New Year across the region, when Vietnam and Hong Kong see a 75% and 70% increase in daily online travel sales, respectively. Traditionally, the festival used to be about reunions within China, where many families were separated by work during the year. Millions of economic migrants, students, office workers and others made the annual exodus from their work locations to their hometowns, leading to one of the world’s biggest mass-transportation occasion. The relatively new idea that families can enjoy time together elsewhere is also gaining popularity. A number of countries, including France, UK and the US are easing visa regulations for Chinese nationals in order to lure a lucrative influx of free-spending travelers. The Chinese New Year (CNY) opportunity is being increasingly explored by a number of international retailers globally as Chinese consumers continue to assert their global purchasing power. With the booming numbers of Chinese travelling during the CNY period and with retailers always on the lookout for new sales opportunities, a growing focus on this mega event similar to the likes of Black Friday is necessary. In fact, the globalization of CNY fits into a wider trend, which is seeing the reach of once-local events and promotions extend across the globe. Previously, exclusively market-specific events such as Black Friday, Oktoberfest or Singles Day are increasingly being adopted internationally – due to increased travel, the growth of ecommerce and social media, and the globalization of media in general. With this in mind, retailers everywhere will have to take CNY seriously. 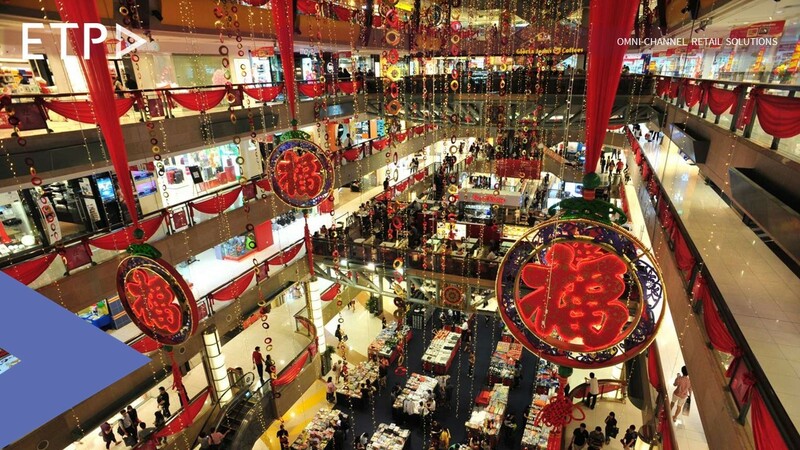 This could mean partnering with strong, authentic Chinese brands (providing them an opportunity to develop in new markets), as well as investing in in-store value added services such as hiring Chinese-speaking staff or having websites developed in Mandarin/Cantonese language and bespoke promotional material specifically targeted at these shoppers.